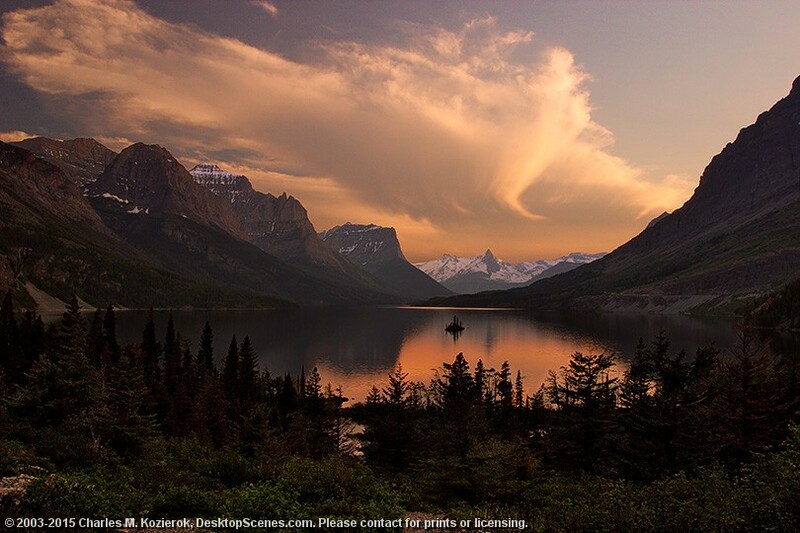 Wild Goose Island in Saint Mary Lake is an icon of Glacier National Park, and probably its single most photographed subject. I "camped out" in this location watching as dusk fell and the storm clouds of the day swirled around, hoping I'd be lucky enough to get a nice sunset or "light show" in the clouds. I never got the brilliant, fiery red clouds I was hoping for, but I couldn't complain. The storm made a very interesting formation over the lake, and the clouds then turned a subtle, pretty shade of orange-pink as the sun went down. Overall, it was a lovely night.